The following post is based upon an interview with Andy Robinowitz, the CEO of Social Knowledge LLC, and the owner of the RV Park Reviews website. The interview was conducted by Peter Pelland in July of 2015 and originally published in the November 2015 issue of Woodall’s Campground Management. Let’s face it: The typical small business owner likes consumer review sites about as well as fingernails scratching on a chalkboard or tooth extraction without anesthesia. That disdain is generally unfounded. Yes, there are certainly instances when somebody with an axe to grind exploits the opportunity to try to inflict harm upon a business, but most readers of mean-spirited reviews are smart enough to read between the lines (and the usual spelling mistakes). Smart small business owners look at consumer reviews in the aggregate and in an objective manner, recognizing the valuable feedback that the reviews provide. Big companies designate significant sums of money toward market research, employing focus groups, product sampling, surveys and many other costly tools. Whether somebody is thanking you for something that was done right, or pointing out an area where there is room for improvement, think of each review as free market research data that should influence decisions about how to run your business more successfully. Particularly when a comment or observation is expressed repeatedly, it should never be dismissed as simply an individual opinion. Reviewers are generally influencers, predicting future trends as effectively as canaries in coal mines. Campground review sites are nothing new; however, they are growing in influence and becoming far more versatile as the sites add features and functionality designed to meet the needs of both campers and campground owners. While some review sites have stagnated a bit, and while TripAdvisor wastes valuable time deciding when to add a dedicated “Campgrounds” navigational tab, the RV Park Reviews website is undergoing some major improvements that need to be on your radar. RV Park Reviews originated back in 2000 and has grown into perhaps the most significant contender among review sites that are specific to the campground industry. The site was acquired by Social Knowledge LLC, a Dallas-based company, in the fall of 2013, and the new owners are more focused than ever on meeting both the needs of the site’s readers and individual campground owners. They have shared both documentation and their vision for the future with me. Over the past year, RV Park Reviews has reached nearly 6,000,000 unique users, 95% of whom were located in the United States. Both user and session numbers are up roughly 20% over the previous year, and a similar rate of growth is anticipated going forward. With well over 200,000 existing reviews, far more people are turning to the site to conduct research prior to choosing a park destination than are turning to the site specifically to write a review. (This serves to disprove the “axe-grinder” theory!) These users spend a considerable amount of time visiting multiple pages per session, considering the experiences of others while looking for campgrounds like yours. With over 30,000,000 page views over the past year, doing the math will suggest that the average review has been read over 150 times in the past year alone. 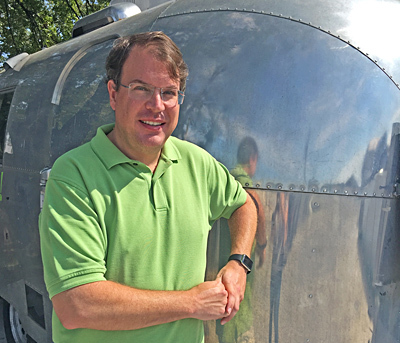 In an interview with Andy Robinowitz, the CEO of Social Knowledge LLC, I gained some insight into what the site is currently offering to campground owners, as well as some of the added functionality that will be introduced this fall. PLP: What sets RV Park Reviews apart from other campground review websites? AR: Our contributors, the scale of our readership, campground coverage, and amenity data are what set us apart. We tend to have more reviews per campground than other websites. Our readership has now grown to more than 6 million readers annually. About 25% of our readers return on a regular basis, indicating how the site is very popular. PLP: What do you say to campground owners who see review sites as forums for people with an axe to grind, and what do you do to try to prevent that from happening? AR: It’s a valid concern. We address this issue in a few ways with our policies. We also provide readers with tools to help them to better decide which reviews they want to trust, and soon we will be giving the campground owners the ability to respond to reviews, so they will have a voice as well. To help our readers decide which reviews to trust, we recently added the rating distributions of each reviewer so someone can see if a contributor tends to only leave negative reviews. Alternatively, if you see a user who has lots of reviews with most of them being positive, then a single really bad review, you might take that into consideration in deciding whether to trust the review or not. Going back to the axe grinders, our analysis shows that these types of issues are rare, with the vast majority of our reviews being positive. Regardless, we have a policy that requires a user to have at least two reviews approved before either will be shown on our website. This prevents people from creating an account to publish a single negative review. Most disgruntled customers never take the time to submit additional reviews. We also require reviewers to meet our Review Guidelines so they can’t just rant about poor service. We moderate all submissions from new users before they are published. Based on our historical information, we suspect less than 1 in 100 reviews are from disgruntled customers. PLP: Do you encourage campground owners to ask their campers to write reviews? AR: Yes, I would recommend that campground owners ask their campers to leave reviews. The more reviews you have, the better the odds that readers will get an accurate feeling for a campground where they have not previously stayed. It also helps establish a larger base for the ratings. For example, if you only have two reviews, an 8 and a 10 mean you had an average rating of 9. Then, if someone leaves a review with the rating of 6, your average falls to 8. If you have 7 reviews with an average of 9 and someone leaves a 6, your average will not change. Having more reviews is better for consumers and better for campgrounds. PLP: You mentioned that campground owners will soon be able to directly respond to reviews. I know that Management Responses have been a key feature of TripAdvisor. Could you elaborate on what you have planned? AR: This fall we will be rolling out a new feature called the Campground Owner’s Interface. Among other components, this interface will allow campground owners to respond to reviews. This will give campground owners a voice, allowing them to tell their side of a story so readers can use both perspectives when deciding whether to trust a review or not. Keep in mind that review volume is important to help give more perspectives to readers. Campgrounds with lots of reviews are able to water down any negative effects from a disgruntled client. If you have 9 great reviews from happy customers and 1 negative review, it’s pretty easy for readers to see the trend. PLP: If this is rolling out in the fall, how can campground owners get a jump start on joining the program? AR: We highly encourage campground owners to claim their campgrounds. This fall, when the Campground Owner’s Interface is online, campground owners (or management) will then be able to manage their amenities, set their hours of operation, respond to reviews, and more. We’ll even e-mail them whenever new reviews are posted so they will know to respond in a timely manner. PLP: What will be some additional features? AR: We will also have a widget available so campground owners can showcase their positive reviews. Campground owners will be in control of what is shown on the widget so they can customize it to their needs. For example, if they want to show only snippets of 4 or 5 star reviews, they can set it to do that. If they don’t want to show any reviews, they can do that as well (and just link to their profile). By adding the widget to their site, a park owner makes it easy for their clients to leave reviews. We strongly suggest installing this on the campground’s website to get more reviews and help with search engine optimization as well. Given an advance peek at what is coming, I can tell readers that there will also be tools that will allow campground owners to access their statistics at the RV Park Reviews website, keeping track of reviews, page views and more. They will also be able to directly update their seasonal dates, hours of operation, amenities and other campground information, keeping up-to-date and helping potential visitors. The amenities listing will include information that may be vital to some visitors in their decision-making process. For example, whether or not the park has cellular phone service, and if so, which cellular service providers have a signal available; whether or not the park offers wi-fi, listing the fee if applicable; and whether or not the park has showers, again listing whether or not there is an associated fee for that service. To get started, go to the RV Park Reviews website at http://rvparkreviews.com, find your park by choosing your state and city from the alphabetical listing to the left of the map or by using the search box at the top of the page. When you find your park’s listing, click on the “View Campground Details” link. On the next page, click on the “Own this Campground? / Claim it and Unlock Features” link. Enter your name, e-mail address, phone number, and whether you are the campground’s owner, manager or employee, and you will be notified prior to the rollout of the new features. When it comes to technology, early adopters usually benefit the most. The RV Park Reviews website is already sending you significant volumes of traffic. Make it work to your park’s maximum advantage. My recommendation is to get on board! The challenge of any website is to convert traffic into buyers who take the site’s prescribed call to action. Whether it means putting an item into a shopping cart, signing an online petition to save the whales, making a charitable contribution, or reserving a campsite for the third weekend in August, if a site lacks traffic it has no chance of converting those numbers of visitors into buyers. Fortunately, there are many ways to drive traffic to your site. Many businesses have become convinced in recent years that the key to traffic is strictly a matter of search engine optimization (SEO). In desperation and out of confusion, they fall prey to a host of companies (who often initiate contact through spam or from a telemarketing boiler room operation) offering so-called guaranteed search engine placement or keyword analysis services that usually run automated software. Some other companies act like they possess a uniquely secret talent, with one recently proclaiming itself to be the “official SEO company of the campground industry”. The claims can get pretty preposterous. I actually received a telemarketing call a while back from an outfit in India called “BS SEO”. The name says it all! With the decreasing role of search engine traffic, the role of referring sites becomes ever more important. The cumulative impact from established referring sites is not only measured directly by the traffic that they generate but also from the listings and their positive influence upon search engine rankings. With that in mind, one of your goals should be to ensure that your website is listed in as many online resources that are relevant to your business as possible. More importantly, check to confirm that the listings and links to your website are correct and unbroken. The best way to start is to compile a list of resources where your business should already be listed as one of your benefits of membership. Never assume that these listings are correct and up-to-date. Check them individually, and you will often be surprised by outdated content that could be negatively impacting the effectiveness of your listing. Start this list with your membership listings on any local, regional, or state chambers of commerce and tourism boards to which you belong. Check for details like current e-mail addresses, as well as your correct Web address, ideally including a direct link to your website. Next on the checklist for campgrounds and related businesses are the state, regional, and national associations where your business maintains membership. These include National ARVC’s Go Camping America website and your state association website. When checking listings recently on three of the largest campground state association websites in the United States, I was shocked by the number of broken website links that I encountered. Most of those were the result of programming errors within the sites, a few were the result of spelling errors, but others were the result of updated information that was never passed along to the association by the owners of the individual campgrounds. There were also several instances of campgrounds that had lost the domain names that were listed, even though they had new websites built under new domain names. Rather than sending people to their new (and presumably improved) website, visitors encountered either a “404 file not found” error page or a page indicating that the old domain name was for sale – either way leading many people to conclude that the campground is out of business and permanently closed. In one or two other instances, I found campgrounds with new domain names and who had not lost control of their old domain names, but did not provide redirects from the old to the new. I should also mention that I encountered many websites with e-mail addresses that were invalid, making any attempt to contact the businesses bounce faster than a basketball. I have also encountered phone numbers that go to voicemail but that are either not set up to accept voicemails or have mailboxes that are full. Why not just lock your doors and find another line of work? Each of the state associations has a member services website, usually password-protected, where you can enter any listing information that may be incorrect, incomplete, or entirely missing. Check your listings, and get ensure that they are as complete, correct, and up-to-date as possible. Those are some of the most obvious resources where your campground would expect to be listed. Next, it is time to get listed in any of a wide range of specialized directories that relate to your business. Be sure to include performers who are scheduled to appear at your park. Almost all of them have their own websites, where they list their upcoming performance schedules. Provide links to them on your website’s activities schedule, then insist that they provide reciprocal links to your site. Many fans of these performers follow their schedules and could become first-time guests at your park. There are many websites that list campgrounds that cater to specific types of camping. Some, for example, list campgrounds with yurts. Others list campgrounds with free wi-fi service. Others list campgrounds that are pet-friendly, and I will concentrate on these. Pets are indisputably the new family members. If your park is pet-friendly, there are many online resources that will help you to spread the word. Some of these sites even offer free listings or free trials. To save you time in researching these resources, I have compiled a comprehensive list of sites that cater to pet-friendly travel. I have excluded any sites that appear to be down, list only hotels, or are tied into another paid service. In each instance, I am listing the website’s URL, its number of yearly visitors (as shown at StatShow.com), its annual listing fee, and the cost per thousand yearly visitors. This last number is an apples-to-apples way of comparing the cost-effectiveness of each site. Somebody searching for camping accommodations on one or more of these sites is an excellent prospect to become a guest at your campground, probably a camper who has not stayed at your park before and would be unlikely to choose your park without this referral “nudge”. Since most people probably refer to only one of these resources – rather than searching through multiple resources – listing your park on more than one site is probably going to significantly expand your reach. Building your presence on referral sites is only one of many ways to attract new guests. Now that you have this information at your disposal, put it to use! One of the most common questions I hear from the owners of campgrounds and other small businesses is, “How can I improve my site’s search engine ranking?” There is a long list of answers, most involving steps that should be taken by your site’s webmaster. Unfortunately, if you are your own webmaster or you hired a local person who lacks expertise regarding search engine optimization (SEO), you may be in for a rude awakening. On the other hand, if you hired any of the industry’s established website development companies, your site should be in good hands. To be certain, let me guide you through four tips that will allow you to check the status of your site. Inclusion of a website in the Open Directory has a positive impact upon your site’s Google PageRank. The Open Directory Project licenses its content distribution through hundreds of small search engines. The Open Directory Project data is included in the directory services of major search engines, including Google and AOL Search. That’s right: Your search on Google will often reference site listings from the Open Directory. The submission process is simple. First, check to see if your site is already listed. Go to http://dmoz.org and enter your business name into the search box at the head of the page. A business can only be listed in one category. If your site is listed, fine (unless you strongly believe that the listing should be moved to another category). If you are not listed, you can drill down through the hierarchy of categories to find the right place to list your site. For a campground in the United States, that category will be Recreation > Outdoors > Camping > Campgrounds > North America > United States > [Your State]. When you reach that page, you will also be able to confirm whether or not your site is listed. Do not be surprised if it is not. For example, there are 155 campgrounds listed on the Ohio Campground Owners Association website, but only 27 Ohio campgrounds listed in The Open Directory Project. There are also 200 campgrounds listed on the Campground Owners of New York website, but only 81 New York campgrounds listed in the directory. (Keep in mind that the actual numbers of campgrounds are probably higher because not all campgrounds belong to their state associations.) If your site is not listed, click on the “Suggest URL” link to go to the site submission page for that category. Your site Title (taken from the Title tag of your site’s Home page). A description of your site in 25-30 words. Try to write this as objectively as possible. The more that you embellish the text, the more likely it is that your description will be edited. Enter the captcha script at the bottom of the page, and hit Submit! You are on your way. This tip will need to be implemented by the company that is hosting your website, and there should be no charge for them to do so. Most people do not realize that their website’s URL, with and without the ‘www’ subdomain prefix, counts as two sites and splits what should be the combined impact of the site’s traffic upon its search engine ranking. Since the ‘www’ prefix is not necessary, some people will type your address using the prefix and others will not. What you need to ensure is that – either way – the visitor will be taken to one version of your URL … the version without the ‘www’ prefix. The solution is to implement a permanent redirect (known as a 301 redirect), so that any traffic to www.YourWebsite.com will be redirected to YourWebsite.com. It is easy enough to check to see if this is being done. Go to a browser and in the address bar (not a search box! ), type in your site’s URL with the ‘www’ prefix. See if the ‘www’ remains in the address bar or disappears when the page is loaded. Then type in your address without the ‘www’ prefix, and confirm that the site also appears. If so, all is well. Much to my surprise, I often see sites that are incorrectly set up on their server so that they will ONLY appear if the ‘www’ prefix is used … a major error! If there are websites that mention your business by name but do not include a link to your website, those mentions are providing little benefit. Particularly if your Web presence is relatively new, or if you recently changed its URL, there could be several sites that mention your business without a link or that provide a link to an old URL. Either way, you want to discover those and try to get the listings updated. Generally speaking, this is a two-step process. The first step is to do a Google search for your business by name. Hopefully, your website will be the first search result! Go down the list of the first 50 or 100 search results. If there are sites that you do not recognize, click through to see if any of these appear to be legitimate sites that are lacking a link. In those instances, you will probably find a link that says “Claim this business”; otherwise, look for an “update listing” or “contact” link. Following those links is the second step. Keep in mind that there are many local listings sites (often some sort of variation of the old yellow pages phone directory concept). Unless there is a very low, one-time fee, I generally advise against paying a site to add a link to your listing. A chamber of commerce, travel site, or camping-related site that provides specific information about your campground is probably a worthwhile listing; however, many of the sites that charge a fee for links are sites that generate low levels of traffic and probably zero searches for your businesses. They are little more than link directories. You want links on as many sites as possible that are legitimately capable of sending traffic to your site. You might also want to search for the names of competitors or other nearby businesses, in an effort to discover any sites where your business may not even be listed by name but where it could be added. If you would like to stay abreast of any new listings that might materialize, set up a Google Alert for your business name, and you will be notified. Total cost: $0.00, in most instances. Google recently announced a new HTTPS ranking signal, indicating that SSL throughout a site will give that site a slight SEO advantage. Up until now, SSL was typically used only by sites that were engaged in online commerce or the transmittal of sensitive information, but an argument may now be made for broader implementation. SSL provides a secure protocol, where exchanged data is encrypted rather than being written in plain text. It provides levels of data integrity and authentication that are lacking in usual data transfer. If your site is handling transactions that involve the entry of users’ personal information (such as if you are selling merchandise or accepting payments through an online gateway), it should be using SSL. If a site uses SSL, there are sound reasons for the SSL to be used throughout the site, not simply on payment pages. If your site is purely informational (which applies to the typical campground website), there has been no reason for it to use SSL – at least up until now. Do not expect the use of SSL on your site to push it to the top of search rankings. That is not going to happen. However, use of the https protocol is one of 200 or more signals that currently influence Google search ranking. There are complications involved when converting a site to use SSL, and some of these cons may offset the pros of making the switch – not the least of which is the added cost of secure hosting and the annual SSL certificate renewal. Discuss these with your webmaster to determine whether the benefits outweigh the costs in your instance. When it comes to SEO, there are no easy answers and no one-size-fits-all solutions. Establish a trusted working relationship with a knowledgeable webmaster who makes the best interests of your business a top priority. The best website in the world is ineffective if nobody sees it. It is a fact today that too many people obsess over search engine optimization (SEO) and the employment of a wide variety of tricks in an effort to outsmart Google’s search ranking algorithms. The bottom line is that nothing is more effective or easier to implement than links to your site from established websites with related, relevant content. Referring sites will send you direct traffic. More importantly, the presence of your links on those sites will also enhance the ranking of your own site, due to its direct association with sites that are already deemed to be “important” by Google. The most important referring sites will be travel-related sites like TripAdvisor, and industry-related sites like Go Camping America. Once you have the big players covered, it is time to get your website listed on the “B list” of referral sites, and I will save you some work by presenting the following list of 10 websites that include online directories of campgrounds. Nine of the ten offer free listings. Check each site to see if your park is already listed, or if an existing listing might require corrections or updates. If your park is not listed, follow the links to get your site added. Although every valid link is helpful, links from highly ranked sites with heavy traffic are the most valuable. For that reason, I am including the Alexa ranking and the StatShow traffic estimate for each site. The Alexa ranking is a metric that presents the site’s overall ranking against all other websites. The lower the Alexa ranking number, the better. StatShow indicates the average number of users and page views per month, where the higher the numbers, the better. As an example, the Alexa ranking of Amazon.com is 10, with a StatShow ranking of 220,280,520 visitors and 3,150,011,700 page views per month. RV Points. This is a relatively new site, launched in early 2012, that looks like it is trying to be the Groupon of campgrounds. Listings are free, although there is a fee to be listed as a featured park. You do not have to present a special offer to participate. Go to http://rvpoints.com, then follow the signup link. Alexa ranking: 10,821,800. StatShow ranking: 1,320 / 2,940.
Leisure and Sport Review. This site provides a state-by-state listing of events and lodging, including both campgrounds and cabins. Find it at http://www.lasr.net, with a signup form at http://www.lasr.net/addBusiness.php. Alexa ranking: 222,547. StatShow ranking: 64,350 / 141,570. Mile By Mile. Nothing fancy in this directory of resources, including campgrounds, that is designed to help families plan road trips across the United States and Canada. http://www.milebymile.com, with edit listing / add listing form at http://www.milebymile.com/update.php. Alexa ranking: 477,532. StatShow ranking: 29,970 / 65,970. RV Resources. Nearly 15 years old, this site presents everything that has to do with RVing, including a directory of campgrounds. http://www.rvresources.com, with a listing form at http://www.rvresources.com/addsitenew.php. Alexa ranking: 530,214. StatShow ranking: 27,000 / 59,430. WorldWeb.com. This is an international travel directory that includes both the United States and campground listings, representing a useful resource for international travelers to find your park. Go to http://www.worldweb.com, then follow the Add > Business link in the upper right of the page. Alexa ranking: 26,275. StatShow ranking: 544,920 / 1,198,860. RVNetLinx.com. This site lists campgrounds, campground associations, RV repair services, employment ads, and more. http://www.rvnetlinx.com, with a “submit your site” form at http://www.rvnetlinx.com/wpsubmitsite.php. Alexa ranking: 3,080,156. StatShow ranking: 4,620 / 10,200. RV Mechanic. This is an online directory of everything that relates to RV repairs. It also includes a directory of campgrounds, with an easy form to add your listing. Find the site at http://www.rvmechanic.com, then, to add your listing, go to http://www.rvmechanic.com/company_register.html. Alexa ranking: 560,380. StatShow ranking: 25,560 / 56,250. RV Park Hunter. This one is not free, but costs $25.00 per year on the 1 year plan, or $10.00 per year on the 5 year plan. http://www.rvparkhunter.com, with a listing form at http://www.rvparkhunter.com/listing.asp. Alexa ranking: 2,883,568. StatShow ranking: 4,950 / 10,950. As you can see from the statistics, some of these sites might actually send some significant traffic to your site, which you can track and verify if you are running Google Analytics. In other instances, the greater value will be in simply having the search engine robots visiting the sites and catching the outbound link to your site. In the business world today, there seems to be no greater obsession than SEO – Search Engine Optimization. If website traffic falls short of an owner’s ever-increasing expectations, it is an all-too-common practice to blame SEO that is somehow not up to snuff. It amazes me how many people think that the same three letters can be either the reason for their success of the reason for their failure. In reality, people have far less control over SEO than most of us would be led to believe. Because of that common misperception, there is an entire industry that thrives on exploiting small business owners and their belief in a silver bullet. Have you ever gotten an e-mail from a self-proclaimed SEO expert? I got spammed just this morning by somebody with the message, “Want more clients and customers? We will help them find you by putting you on the 1st page of Google.” There are no listings on the “first page of Google”, a page that only contains a stylized Google logo and a search box! In addition to those e-mails, you have probably also gotten telemarketing calls from people who claim to hold the key to the pot of gold at the end of the Google rainbow. Sometimes the caller ID even says that the call is from “Google” … something that is easy for anybody to spoof. Trust me when I tell you that Google is never going to call you and they are never going to call me. Think about it. Have you ever been able to call Google and even speak with a receptionist? The people who claim that they can get you that elusive prime search engine placement are – almost without exception – skilled con artists who will put the average used car salesman to shame. I recently met with the owner of a small campground who had been spending $300.00 per month for alleged SEO services with a company that was accomplishing nothing on his behalf. When he tried to cancel the service, the salesperson tried to convert him to the company’s $75.00 monthly plan. When he told me the name of the company, I did a Google search for the company name followed by the word “complaints”, and there were 755,000 results! 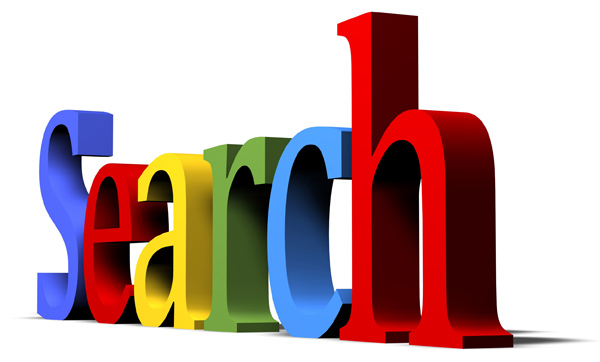 Search today is localized to the computer performing the search and is based upon a user’s previous usage patterns. It is relatively easy to make it look like your site is appearing near the top of broad search results, but this does not mean that your site is going to appear anywhere for somebody doing a search in Peoria or Wichita. Google has built its reputation upon providing the most highly relevant search results for any particular term and any particular user, and no self-proclaimed SEO expert can outsmart Google at its own game. I have a friend who likes to say that his website comes up in the # 1 search position on Google for long, convoluted phrases that would never be used in an actual search. If his business was a campground, his website would appear at the top of the search results for the search phrase, “full hookup pull-thru campsites with free wi-fi on Lake Winnipesaukee in Meredith, New Hampshire”. See what I mean? Unless a business holds an international monopoly or trademark on a certain product or service, it is not going to appear at the top of the search results – on its own merits – for either a broad or highly specific search term. If you search for “iPhone”, you will be taken to Apple Computer; if you search for “2014 Mustang”, you will be taken to Ford; and if you search for “Cheerios”, you will be taken to the General Mills Cheerios website. On the other hand, if I search for “oat cereal”, at least based upon my browsing history, Cheerios does not appear anywhere on at least the first 10 pages of search results, except for the paid “sponsored search” ad at the top of each page. Do you see my point? If I was not already familiar with “Cheerios” and specifically searching for that well-known product, it would not appear in my search results. In the case of your campground, the total number of websites in the world is expected to exceed 1 Billion by the end of June 2014, according to InternetLiveStats.com, and there are over 13,000 private campgrounds in the United States alone. Can you understand how easy it is to get lost in those numbers? A person searching for the broad term “family camping” is unlikely to be looking for your specific campground. If your campground’s website appeared at the top of the list – outside of localized content and the user’s established usage patterns – Google would lose its credibility and its dominance in the search market. Beyond localized content and usage patterns, search results are based upon relevance (primarily found in the text on pages), a site’s relative importance, timeliness of content, and a site’s general volume of traffic. Yes, the odds are stacked against the website of a small business, particularly if that Web presence is either relatively new or if it is old and static. The old days of keyword lists have long been replaced by today’s intuitive and content-based search results. Content is king. Most importantly, it is essential that your website delivers the type of quality experience that will ensure that, once people find you, they will be more likely to stay than leave. With a better understanding of how search results are delivered these days, you are now better prepared to ignore those phone calls and spam e-mails from people who are in the business of selling false promises and victimizing the uninformed. You may have noticed that the search results on Google have continued to evolve over time. While many people labor endlessly over their position in organic search results, they miss other opportunities to maximize their overall exposure. One of the most important tools, often overlooked, is Google Places for Business. When you perform a Google Search, results appear in a variety of manners. As an example, I just performed a search for “campgrounds near Gatlinburg, TN”. The organic search results (which are localized for my search location and which may appear differently in your search) start with the campground page at the Gatlinburg Convention and Visitors Bureau website, followed by the Great Smoky Mountain Jellystone Camp-Resort, Smoky Bear Campground, Good Sam Club listings for the area, and the Pigeon Forge / Gatlinburg KOA. Above these organic search results (which are SEO-based) appear three Sponsored Search results (paid search engine placement) for the Adventure Bound property in Gatlinburg, Riveredge RV Park, and Bear Cove RV Village. To the right of the organic and sponsored search results is a small Google Map, with markers showing all of the campgrounds that match the search terms that I have entered. Above all of this, there is a black strip that contains 20 search results listings that include a thumbnail photo, review ranking, page title, and street address. These listings correspond to the markers on the small Google Map. If you zoom into the map, showing a more localized area, the number of thumbnails will adjust to match the markers that remain in view. By default, the thumbnails start with Twin Creek RV Resort, Elkmont Campground, Camping In the Smokies, Greenbrier Island Campground, Camp LeConte Luxury Outdoor Resort, and Riveredge RV Park – from left to right. Users can also filter the search results by user rating, limiting the results to parks with 2-star, 3-star, or 4-star and higher user ratings. You may be wondering where these listings originate. If you click on a listing, the bottom of the detailed listing will ask, “Are you the business owner?” If you click on that link, it will take you to the Google Places portal, where you may then “claim” your business where these listing reside. If you cannot locate your business in that type of search for campgrounds in your local area, you can also get started by going to the Google Places entry page: http://www.google.com/local/add/. If you do not have a Google Account, you will be prompted to create one (a quick and easy, free process). Google gathers data about businesses from a variety of sources, but the most accurate source will be the information that you – as the business owner – will provide. Check the accuracy of your address, phone number, website URL, and the location of your marker on Google Maps. By default, your listing may include photos that your guests may have taken or that reviewers may have submitted. (If there are no photos available, Google will substitute a view of your marker on Google Maps, and that doesn’t do you much good.) The photos that appear will not always be the most flattering or best quality, but you will be able to upload up to 10 photos and 5 videos to enhance your listing. Choose those wisely, ensuring that they enhance rather than detract from the quality of your listing. You may also include payment types, showing which credit cards or other forms of payment are accepted by your business. Having an incomplete listing will not impact whether or not your business appears in the local search results; however, a more complete listing will make it more likely that a viewer will click through to learn more. When everything has been updated to your satisfaction, click the submit link, choose to validate your listing by phone, enter the PIN number that will immediately arrive by phone, then click “finish”. The changes may take up to a week to take effect. If major changes are requested, your updates will be pending editorial review, a process that may take up to 4 weeks. Once your listing information has been updated, you can then check your listing, as it appears on both Google Search and Google Maps. You might search for your business name, or you might perform a more generic search, such as my “campgrounds near Gatlinburg, TN”. In the latter instance, you may wonder about your ranking position in the search results. According to Google, rankings are based upon three factors: relevance, distance, and prominence. For that reason, your business will not necessarily appear first in the list. The important thing is that your business appears in the list. There are a number of ways that people may search for – and find – your business online. This article covers only one of the ways to help your business to stand out on Google. Take advantage of every tool available in order to maximize your competitive edge! Have You Heard that the Internet Can Be a Shady Place? Remember the days when landline long-distance telephone service was profitable and highly competitive? Back then, even the major carriers would engage in a practice known as “slamming”, which generally consisted of mailing out solicitations that appeared to be invoices, often accompanied by a check that you were encouraged to sign and deposit into your bank account. The fine print indicated that the solicitation was not actually an invoice, and that, by endorsing the check, you were agreeing to transfer your long-distance service to another company. That check was a token to lure you into the offer, and they would more than recover that small cost in your first month’s fees. Nowadays, with the dramatic adoption of cellular phone service, the carriers protect themselves from this type of deceptive competition by locking their subscribers into two-year contracts in exchange for the latest phone models. Not to worry, there are infinite numbers of fish waiting to be caught in the Internet Ocean. We are all swimming in that ocean, and you simply need to learn to recognize a hook in order to avoid getting caught! Check them out before signing a check. If an unsolicited communication from a company seems suspicious, I always advise doing a search on Google or Bing for the company name followed by the word “scam” or “complaints”. The results could save you from being the next victim. The most recent scam involves a company called DNS Services. For the last 6 months, if not longer, they have been sending out mailings to the owners of just about any and every website. The mailings look like invoices in the amount of $65.00 for “backup DNS service” – something that nobody needs. Only the fine print reveals the disclaimer that, “This is a solicitation for the order of goods or services, or both, and not a bill, invoice, or statement of account due. You are under no obligation to make any payments on account of this offer unless you accept this offer.” Most people do not read that fine print, and many people unwittingly mail in the $65.00. The mailing looks particularly legitimate because it includes your name, domain name, and the name servers where your website is hosted (all public information). If 1% of the people who receive these solicitations pay the $65.00 fee, these scam operators are making a fortune! What about a Google search for “DNS Services scam”? At the time of this post, there are 2,900,000 results!